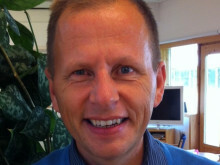 Akademikliniken was founded in Stockholm in 1991 by Drs Per Hedén and Jan Jernbeck. Akademikliniken is one of the world’s leading private clinics for aesthetic and reconstructive plastic surgery. The business covers a broad spectrum of different plastic surgery procedures and is the only private clinic in Scandinavia that performs advanced microsurgical procedures. In 2010, Akademikliniken performed approximately 5,000 procedures under general anesthesia and 20,000 other treatments. 10 % of procedures consist of reconstructive plastic surgery carried out for national and international health care providers. Typical reconstructive procedures include breast reconstruction after cancer, abdominplasties after weight-loss surgery and microsurgical treatment of facial paralysis. Novus Scientific (www.novusscientific.com) is an innovator in the development and commercialization of resorbable synthetic medical devices. The company’s roots are Swedish as all the founders of Novus Scientific are previous owners / senior managers / members of the soft tissue-engineering project within Uppsala-based, Radi Medical Systems AB (now owned by St. Jude Medical Inc). 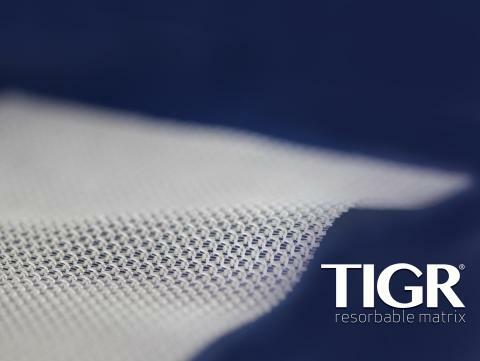 The US Division, Novus Scientific, Inc. is headquartered in San Diego from where it distributes TIGR® Matrix Surgical Mesh throughout the United States. 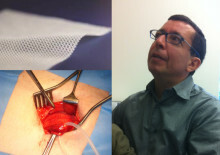 Akademikliniken in Stockholm starts evaluation of TIGR® Matrix Surgical Mesh for aesthetic breast revision surgery. Akademikliniken (Stockholm), one of the world’s leading private plastic surgery clinics and Novus Scientific, developer of TIGR® Matrix, the world’s first long-term absorbable surgical matrix for reinforcement of soft tissue (used globally in abdominal wall surgery and in breast reconstructions after cancer operations) collaborate on the evaluation of TIGR® Matrix in aesthetic breast surgery. Pioneers in resorbable devices for soft tissue reinforcement, Novus Scientific, will showcase the revolutionary TIGR® Matrix at ‘Beauty through Science’ (BTS) hosted by Akademikliniken in Stockholm from May 29th-31st.